Marty Seligman´s Memoir “The Hope Circuit” is out now! The “Spiritus Rector” of Positive Psychology, Martin Seligman, has authored his autobiography. It´s called The Hope Circuit and was published with the imprint Public Affairs. I was able to read an early draft and can say it´s a fasninating read – not only for people interested in Positive Psychology, but also in psychology and science in general. Scott Barry Kaufman, a former co-worker at the Penn Positive Psychology Center has written a candid and extensive review for Scientific American. Enjoy! This is a little off-topic – but over the last days, I came to realize how much easier it appears to be for top (psychology) researchers in the U.S. to “create buzz” around their research and/or book publications compared to their German colleagues. This is a random sample. 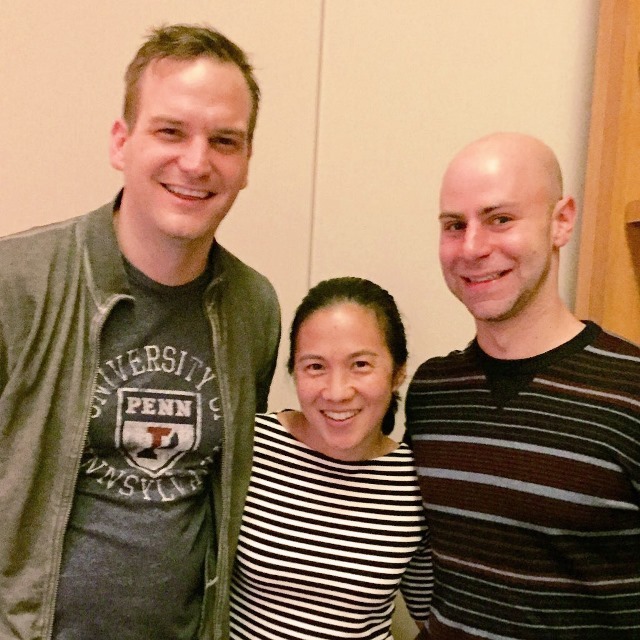 Even though – from my perspective – Adam Grant has become a sort of personal brand, and Amy Cuddy is well on her way to becoming one (there´s not too many social psychologists who get air time on the Late Show with Stephen Colbert), very often the research is marketed via the university they are affiliated with. So, it´s clear that these institutions over time have managed to become strong brands. Their names validate and even amplify the messages publicized by their faculties. That’s a really cool thing! Now, if you are from the U.S. you might say: Duh, tell me something new. But seen from a German perspective, this is really remarkable – because (currently) this would never work over here. You just won’t see a headline along the lines of “A Humboldt University of Berlin Researcher says X” – because the names of the universities do not really add any credibility to the message (at least not in the realm of psychology; with, e.g., engineering, it might be a slightly different story). As a side note: I have not seen that many headlines featuring my MAPP alma mater, UPenn (with Wharton Business School being the exception). Maybe, it’s time for some more brand-building here? 2016 is going to be a really nice year for non-fiction aficionados. 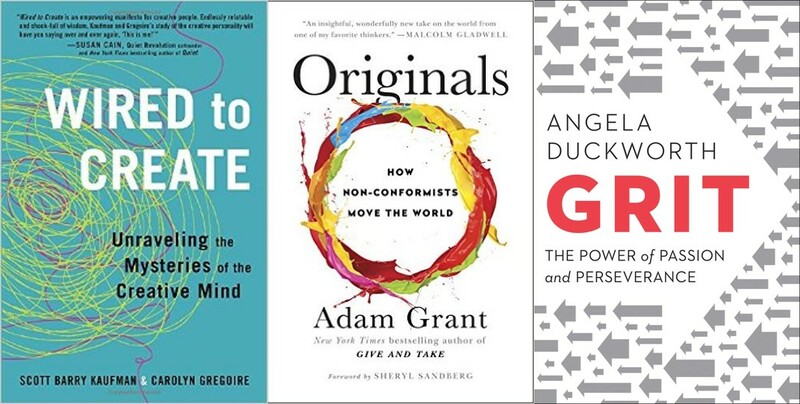 Below, you´ll find three upcoming books that were all written by researchers from the University of Pennsylvania: Angela Duckworth, Adam Grant, and Scott Barry Kaufman. How can we originate new ideas, policies and practices without risking it all? Adam Grant shows how to improve the world by championing novel ideas and values that go against the grain, battling conformity, and bucking outdated traditions. Using surprising studies and stories spanning business, politics, sports, and entertainment, Grant explores how to recognize a good idea, speak up without getting silenced, build a coalition of allies, choose the right time to act, and manage fear and doubt. Parents will learn how to nurture originality in children, and leaders will discover how to fight groupthink to build cultures that welcome dissent. Why do some people succeed and others fail? Sharing new insights from her landmark research on grit, MacArthur “genius” Angela Duckworth explains why talent is hardly a guarantor of success. Rather, other factors can be even more crucial such as identifying our passions and following through on our commitments. Drawing on her own powerful story as the daughter of a scientist who frequently bemoaned her lack of smarts, Duckworth describes her winding path through teaching, business consulting, and neuroscience, which led to the hypothesis that what really drives success is not “genius” but a special blend of passion and long-term perseverance. She takes readers into the field to visit teachers working in some of the toughest schools, cadets struggling through their first days at West Point, and young finalists in the National Spelling Bee. She also mines fascinating insights from history and shows what can be gleaned from modern experiments in peak performance. The book offers a glimpse inside the “messy minds” of highly creative people. Revealing the latest findings in neuroscience and psychology, along with engaging examples of artists and innovators throughout history, the book shines a light on the practices and habits of mind that promote creative thinking. Kaufman and Gregoire untangle a series of paradoxes – like mindfulness and daydreaming, seriousness and play, openness and sensitivity, and solitude and collaboration – to show that it is by embracing our own contradictions that we are able to tap into our deepest creativity.